On their 3rd album, “Psychic Reader”, Stockholm guitar slingers The Plastic Pals flirt with glam, ska, pub rock and 70’s soul and funk. 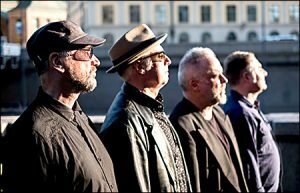 But the band still stay true to their patented twin guitar, drums and bass sound, drawing inspiration from 70’s CBGB’s rock and the Paisley Underground, with a dash of powerpop, psychedelia and blue eyed soul. “Psychic Reader” features guest appearances from Camper Van Beethoven violinist Jonathan Segel, Polynesian and Swedish chanteuse Tiare Helberg, Peter Forsman, from Swedish band Into Deep Water, Italian keyboardist Francesco Bonfiglio from Lowlands, and, as on previous, albums, Green On Red’s Chris Cacavas on keyboards. “Question is whether the band ever sounded this good”, Swedish music critic Pär Berglund, Meadow Music, wrote on The Plastic Pals’ single “Riding With Elvis”, featured on the album as a remix by acclaimed US producer JD Foster. 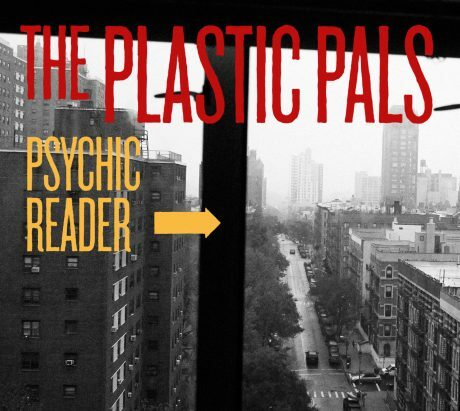 “Psychic Reader’s” 10 songs tell tales of visits to London and New York, lost friends, loves and chance encounters, and there’s no question, the band never sounded this good. NIKOM NIŠTA – “U inat sivilu”	“Joint Effort”… lost album Humble Pie-a iz perioda 1974/75… u ponudi od 22.februara 2019!